Even casual, recreational use of marijuana by young people can affect the regions of the brain involved in emotion, motivation and decision making and scientists say that for the first time they have the evidence to prove it. MRI images of the brains of 18 to 25-year-olds show that smoking weed changes the size, shape, and density of two key brain regions. The differences in brain abnormalities compared to non-smokers is directly related to how much marijuana is consumed, the researchers found. There have been many previous studies that have linked marijuana use to impairment in motivation, attention, learning, and memory. 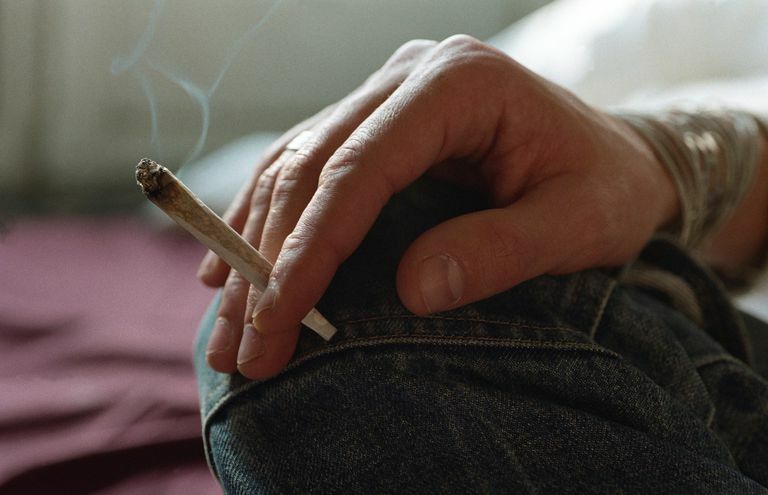 Studies have found that long-time marijuana use can hamper motivation. Other studies have linked marijuana use to impaired learning and social skills. Other research has found that smoking marijuana can impair the ability to maintain attention and another study found that early marijuana use can cause cognitive impairment not seen in those who begin smoking marijuana later in life. But most, if not all, of those studies involved chronic, heavy marijuana smokers. A recent study, published in The Journal of Neuroscience, is the first to link casual, occasional marijuana use with negative effects on the brain. Although the sample size of the study was small (only 40 total subjects, including 20 non-marijuana using controls) the differences in the brains of the two groups were remarkable, the authors reported. Researchers at Northwestern University and Massachusetts General Hospital/Harvard Medical School used magnetic resonance imaging to compare the brains of 20 young people who reported smoking marijuana at least once per week with 20 others age 18-25 who reported little to no history of marijuana use. The scientists measured the volume, shape, and density of grey matter in the nucleus accumbens and the amygdala. The nucleus accumbens is involved in reward processing and decision making, while the amygdala is associated with emotion. The participants were screened to determine that none were dependent upon marijuana or any other drugs and none of the participants had ever abused any other drugs. Those who used marijuana were asked to estimate their marijuana consumption over a three-month period, including the number of days they smoked and the amount of the drug consumed each day. The researchers found that the more the marijuana users reported consuming, the greater the abnormalities in the nucleus accumbens and amygdala on the MRI images. The shape and density of both regions of the brain were also different between marijuana users and non-users. The brains of those who smoked only one joint a day or those who smoked only once a week were changed. "This study raises a strong challenge to the idea that casual marijuana use isn't associated with bad consequences," said Hans Breiter, M.D. one of the study's authors. "Some of these people only used marijuana to get high once or twice a week,"
"People think a little recreational use shouldn't cause a problem if someone is doing OK with work or school. Our data directly says this is not the case," Breiter said in a news release. Other researchers, not involved in the Massachusetts General study, agreed that finding changes in the brains of casual marijuana users was surprising. "This study suggests that even light to moderate recreational marijuana use can cause changes in brain anatomy," said Carl Lupica, Ph.D., of the National Institute on Drug Abuse. "These observations are particularly interesting because previous studies have focused primarily on the brains of heavy marijuana smokers, and have largely ignored the brains of casual users." The research was funded by the National Institute on Drug Abuse, the Office of National Drug Control Policy, Counterdrug Technology Assessment Center, and the National Institute of Neurological Disorders and Stroke. Has smoking marijuana become a problem for you? Take the Marijuana Screening Quiz. Gillman, JM, et al. "Cannabis Use Is Quantitatively Associated with Nucleus Accumbens and Amygdala Abnormalities in Young Adult Recreational Users." The Journal of Neuroscience 16 April 2014. Pope, HG, et al. "Early-onset cannabis use and cognitive deficits: what is the nature of the association?" Drug and Alcohol Dependence 1 April 2003.